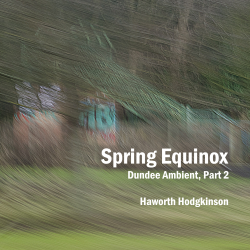 Spring Equinox is the second part of Dundee Ambient, a project I began in January 2015, using sounds recorded in Dundee in the 1990s to produce a very slow moving music evocative of landscape and the changing seasons. 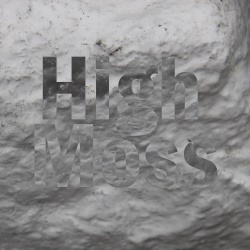 Taken individually, the parts of Dundee Ambient may be heard as night-time portraits of the city, perhaps viewed from the top of Dundee Law, at the turning points of the year, but the music is also about the more intangible landscapes of sleep and dreams. The first part, Winter Solstice, released in December 2015, explored a deep and restful sleep, associated with a fixed drone and unchanging tonality interrupted only by occasional brief hints of dreaming. Spring Equinox begins similarly, the first couple of minutes providing a kind of recap of Part 1, but then the drone plays one of the oldest tricks in the book, switching from tonic to dominant, and the sleep patterns become more disturbed, with the dream interruptions much longer. These extended dream sequences become the main substance of Spring Equinox, pulling and stretching the harmony against the dominant drone, until eventually the drone slips back to the tonic and the sleep is once again peaceful. In Spring Equinox I wanted to explore the paradox of music that in the extended dream sequences is dramatic and restless, whilst remaining very slow in its progress, as well as the paradox of something as familiar as the alternation of tonic and dominant being made to feel unfamiliar by the fact that more than an hour passes between chord changes.